VICI offers two valve product lines: Valco and Cheminert. The Valco design lends itself to a unique variety of connection slots and port arrangements. 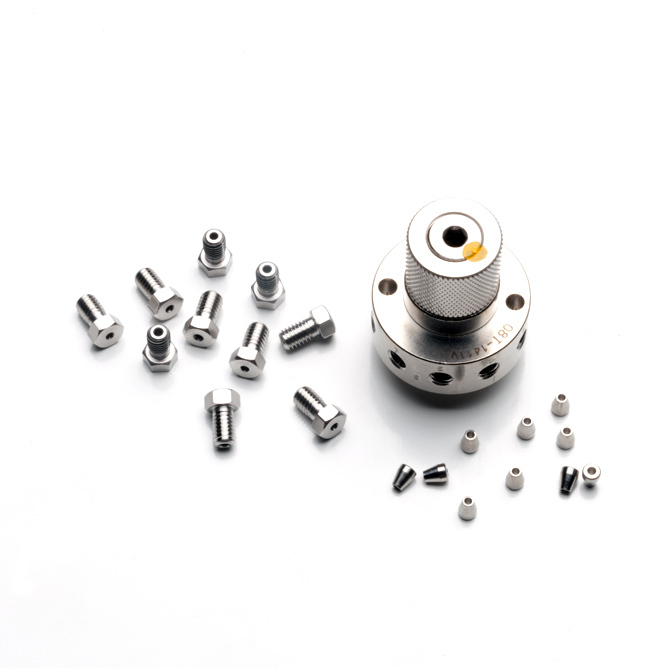 This line can be configured for use at temperatures up to 350°C or pressures up to 5,000 psi. The Cheminert injectors, switching valves and selectors are ideal for high speed, high throughput techniques which demand a valve and fitting system with pressure ratings from 100 to 20,000 psi that minimize internal volume and eliminate dead volume.